Leukopenia (low white blood cell count) is not so much a condition as it is a state of the body. Leukocytes are a type of white blood cell, and when the body has low levels of them, leucopenia is the result. However, many people have below-normal levels of leukocytes in their blood but these levels are not enough to make a significant difference in their daily lives. Although these people may technically count as having leukopenia, they are not normally considered when discussing people experiencing the condition. The exact threshold that marks leukopenia varies by age and other demographic factors. In adults, 4,000 leukocytes per milliliter of blood is considered to be a low count, with 4,500 to 10,000 cells being considered normal. Whether leukopenia is actually something to be concerned about can vary depending on your individual circumstances. Since white blood cells are an important part of the immune system, however, it can’t hurt to know a bit about what can cause these defenders to thin out. White blood cells are produced in the body’s bone marrow. When you are sick, production is ramped up as a countermeasure. Consequently, conditions that can cause leukopenia are ones that either kill leukocytes faster than they can be produced or which interfere with the bone marrow in some way. Viral Infection: Viruses can cause leukopenia by both slowing the function of bone marrow and by killing off white blood cells. The most telling example of this function is HIV and AIDS, which can kill off and devastate the body’s white blood cells if allowed to act freely. Although not all viruses can have this sort of effect, most that have some influence on bones or the immune system have the potential to do so. Autoimmune Disease: This is a type of condition where the body is attacked by its own defenses. Lupus and rheumatoid arthritis, for instance, can result in your bone marrow becoming attacked and consequently slowing down white blood cell production. Medication or Other Treatments: Some medicines, like antibiotics or diuretic drugs, can temporarily lower the level of white blood cells in the body. Chemotherapy and radiation treatments are also capable of causing leukopenia because they are used to kill fast-growing cells and leukocytes can get caught in the way. Drugs meant to reduce an immune response, such as antihistamines or anti-rejection meds, can also have this effect. Anemia or Vitamin Deficiency: Bone marrow requires certain nutrients and oxygen in order to produce leukocytes. If you are experiencing a lack of either, production will be inevitably slowed down. These deficiencies can also cause white blood cells to die off prematurely, exacerbating the problem. Cancer: Leukemia is cancer of the bone marrow and the tumor can significantly interfere with your body’s ability to produce white blood cells. Genetic Condition: Certain congenital disorders such as Kostmann’s syndrome are known to interfere with how the body handles neutrophils, another part of the immune system that is often correlated to leukocyte levels. As the body struggles to make use of neutrophils, leukocyte production will suffer. Hypersplenism: Hypersplenism is a potentially serious problem where the spleen gets overeager and begins to destroy blood cells before their time. This can lead to a low white blood cell count, and this reduction can reach problematic levels if the destruction occurs faster than replenishment. Given that it is a symptom in and of itself, leukopenia can be accompanied by a myriad of other signs depending on what the underlying cause is. However, there are a few common effects the body will experience when your white blood cell count drops. Here are some to look out for. Anemia: A low red blood cell count (anemia) can often occur alongside leukopenia as the body begins to lose red blood cells without enough white blood cells to protect them. This results in fatigue, shortness of breath, dizziness, difficulty concentrating, pale skin, leg cramps, and insomnia. Ulcers: Stomach ulcers are caused by the H. pylori bacteria, which is commonly present but normally held in check. As white blood cell count drops, these buggers can get more active and create sores along the intestinal lining. Parasites: There are a surprisingly large number of parasites that you encounter on a daily basis, but most are shrugged off or killed. With leukopenia, you become more vulnerable to infection. Recurrent Illnesses: As you might expect, low white blood cell count can cause you to experience recurrent bouts of illness. These bouts do not necessarily have to be severe, but they will likely seem harder to treat without the body’s defenses at their normal strength. Additionally, you will be more vulnerable to pneumonia as bacteria have an easier time colonizing the lungs. Abnormal Periods: Women with leukopenia may experience heavier or more prolonged menstrual bleeding, along with a symptom called metrorrhagia, which is bleeding from the uterus that is not a result of menstruation. Sepsis: One of the most dangerous consequences of leukopenia is the possibility that a pathogen will be able to enter and circulate through the bloodstream. This can result in sepsis, a full body inflammation response that can trigger spectacular drops in blood pressure, organ failure, and death. Although it can be scary to know that your body’s defenses are lowered, leukopenia is far from an incurable problem. Along with conventional medications and treatments, there are natural remedies for leukopenia. By bolstering the blood marrow and dealing with potential causes of the low white blood cell count, you can get your immune system back on track. Improved Diet: Keeping to a balanced diet, particularly one rich in vitamins like B12 or folate, is a good leucopenia home remedy and can help keep your bone marrow stocked with the nutrients it needs to build new leukocytes. Fish, dairy, beans, grains, green veggies, and tofu are all recommended for these two nutrients, and your doctor may advise you to take vitamins to supplement this low white blood cell count diet. Medication Adjustment: As mentioned above, some medicines can cause leukopenia. It’s best to stick with some, like chemotherapy, but if you are taking antihistamines, antibiotics, or other comparatively minor medications then you should talk to your doctor about possible alternatives or changes to your dosage. Steroids: Although we focus on natural health treatments at Doctors Health Press, some doctors may prescribe steroids to treat low white blood cell count. Steroids can be used to send extra instructions to the bone marrow that encourages it to boost white blood cell production. Antibiotics: While it is true that antibiotics can sometimes result in leukopenia, it’s important to remember that your body will be especially vulnerable until your leukocyte levels are restored. Antibiotics or other preventative medicines may be prescribed by your doctor to give an extra bulwark against illness while you recover. Chinese Medicine: Some traditional Eastern medications may help restore your white blood cell levels to normal. Dang Gui Bu Xue Tang is said to cleanse the blood, and Tang Kuei can assist in blood production. Check with your doctor to ensure that these treatments are right for you. “Low White Blood Cell Count – Symptoms, Causes, Treatments,” Health Grades web site, August 5, 2013; http://www.healthgrades.com/symptoms/low-white-blood-cell-count, last accessed February 19, 2016. 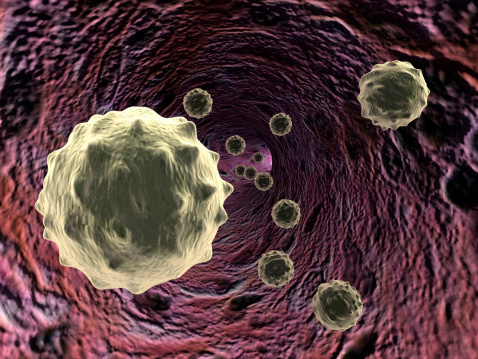 “Low White Blood Cell Count – Symptoms, Causes, Treatments – Symptoms,” Health Grades web site, August 5, 2013; http://www.healthgrades.com/symptoms/low-white-blood-cell-count–symptoms, last accessed February 19, 2016. “Leukopenia,” MD Health web site; http://www.md-health.com/Leukopenia.html, last accessed February 19, 2016. “Low White Blood Cell Count – Causes,” Mayo Clinic web site, January 23, 2016; http://www.mayoclinic.org/symptoms/low-white-blood-cell-count/basics/causes/sym-20050615, last accessed February 19, 2016. “Leukopenia,” New Health Guide web site; http://www.newhealthguide.org/Leukopenia.html, last accessed February 19, 2016.